Thanks, Hank. Sad to see you go. 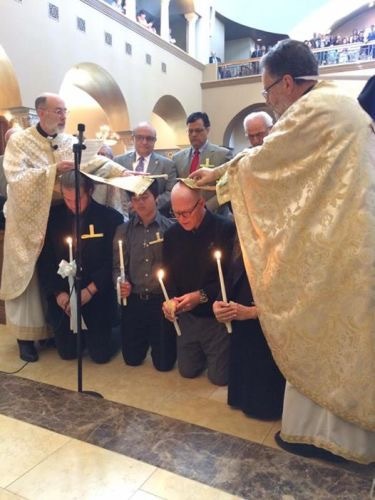 Hank Hanegraaff being chrismated into the Greek Orthodox Church on Palm Sunday, 2017. In 1994, I was thrilled to discover a voice on Christian radio that dared critique the Word of Faith movement, of which the so-called “Prosperity preachers” are proponents. That lone voice belonged to Hank Hanegraaff, host of “The Bible Answer Man” radio show. At the time, Hank had authored an informative expose of the Word of Faith movement called Christianity in Crisis. This book became very helpful in breaking my addiction to watching the Trinity Broadcasting Network and searching the Scriptures to see whether their claims were true. I have listened to his program less and less over the years, as I have become more and more Reformed, but I have been similarly grateful for much, if not all, of the work Hank and the Christian Research Institute (CRI) he runs have produced which helped me understand much about the pseudo-Christian cults like Mormonism, Jehovah’s Witnesses, etc., as well as other errant movements and world religions. After about 30 years of defending orthodox Protestantism, I was saddened to learn today that yesterday, Hank, his wife and two of his twelve children were officially made members of the Greek Orthodox Church. His doing so means he has behind the scenes come to repudiate the essentials of the Christian faith which relate to justification before God and the sole authority of Scripture. The Evangelical movement is in dire need of Reformation back to the foundational confessions of Protestantism, and away from its multi-faceted spectrum which embraces even Word of Faith errors and heresies, among other erroneous teachings and practices. 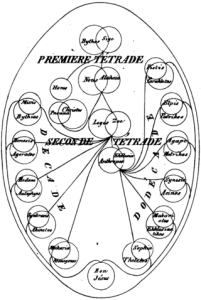 Protestants need to pray that their churches become Reformed according to the Scriptures and the biblically-based practices of the ancient church. 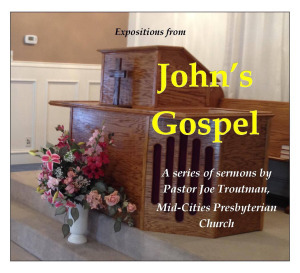 On Sunday, January 31, 2016, Pastor Joe Troutman introduced to the adult Sunday School class the recent theological movement among some modern liberal theologians called the New Perspective on Paul and how it pertains to the doctrine of justification. Luther “wrote [the 95] theses on indulgences and posted them on the church of All Saints on 31 October 1517,” wrote Phillip Melanchthon. Protestants have celebrated this event since the late 16th century, and October 31th became Reformation Day in the Protestant areas of Germany in the early 18th century. The famous composer J. S. Bach wrote cantatas for Reformation Day. For the one in 1727, he wrote the following cantata, based on Luther’s A Mighty Fortress is our God (“Ein feste Burg ist unser Gott”). And for the Reformation Day of 1725, he wrote this one. Let us, with Bach, rejoice and be glad. For more information on these cantatas, see here and here. 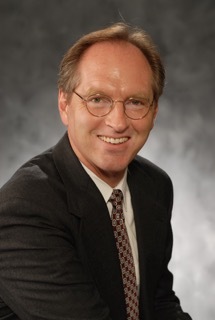 Pastor Troxel has spoken on Reformed theology in Texas previously down in Pflugerville, Texas, at our sister congregation, Providence Presbyterian Church at their 2009 Calvin Conference. Perhaps a few of you who are thinking about attending this year’s conference in Bedford would enjoy sampling Pastor Troxel’s work. Register for the 2015 DFW Reformation Conference (Nov. 13-14, 2015) at Mid-Cities Presbyterian Church (1810 Brown Trail, Bedford, TX 76021).